Thanks for visiting Ufi will walk! Who is Ufi I hear you ask? And why can’t she walk? And what can I do to help this little girl? Well…allow me to elaborate. Ophelia (Ufi to her friends..rhymes with 'Hoof-y' btw) is our 3 yr old daughter and she can’t walk. 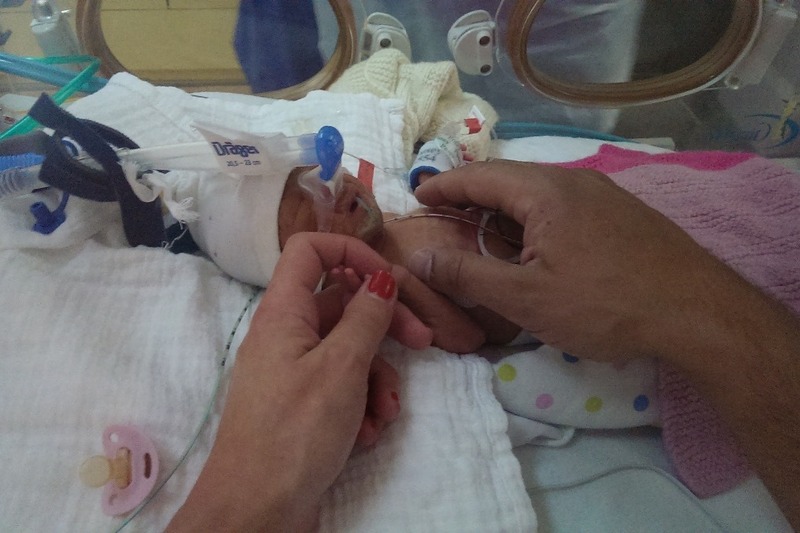 Ufi suffered a life changing brain injury at birth (birth was 3 months early, IN A TOILET. I mean, come on…a break would be good here) which has resulted in Cerebral Palsy. Cerebral Palsy (or CP to those in the know) affects people in different ways. For Ufi, this means her legs are too stiff for her to use as her beautiful brain is not really talking to her lovely legs in the way it should. You’re right! That procedure exists. It’s called SDR (Selective Dorsal Rhizotomy) and it’s a totally minor procedure where her spinal column is opened up, nerves are severed (note to self, ensure surgeon closes up spinal column after surgery) and she is retrained to walk, with 3 yrs of post op therapy (around 5 hours a day, every day, for 3 YEARS). Like I said, minor. That cost is going to be up to £50K. You just need to click on the big yellow 'DONATE NOW' button on the top of this page to show your support. 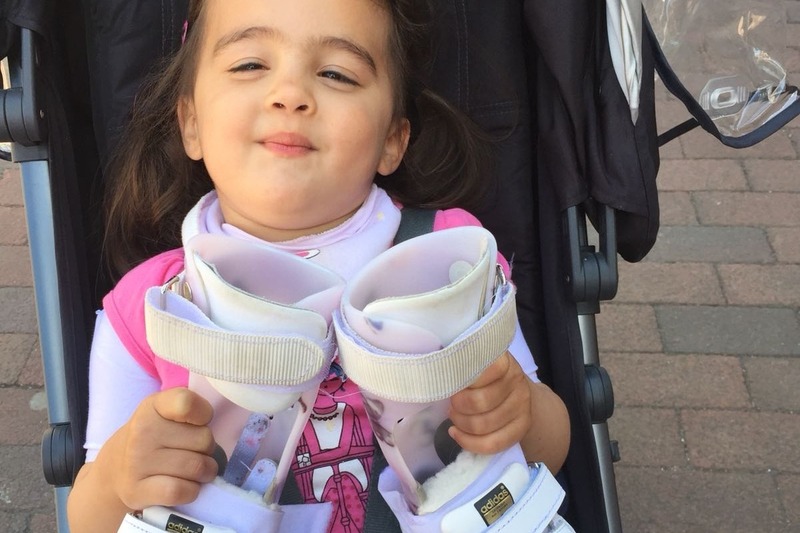 Ask yourself: Is there anything you WOULDN'T do to give your child the chance of being able to walk? Team Ufi to paddle board 100KM from the source of the River Trent to the centre of Nottingham over 2 days in early Aug 2018. Huge respect to Marc Munier and Michael Craig for joining Team Ufi on this challenge. 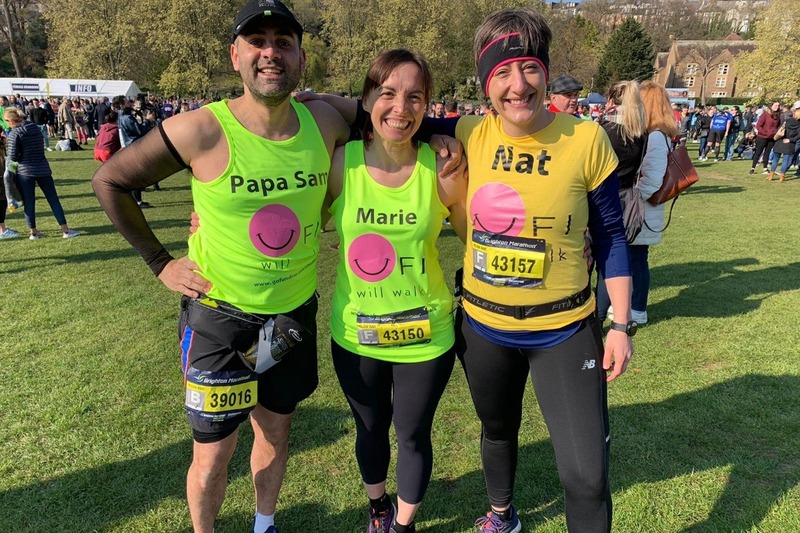 Team Ufi to run Brighton Marathon in April 2019. Double Ouch. 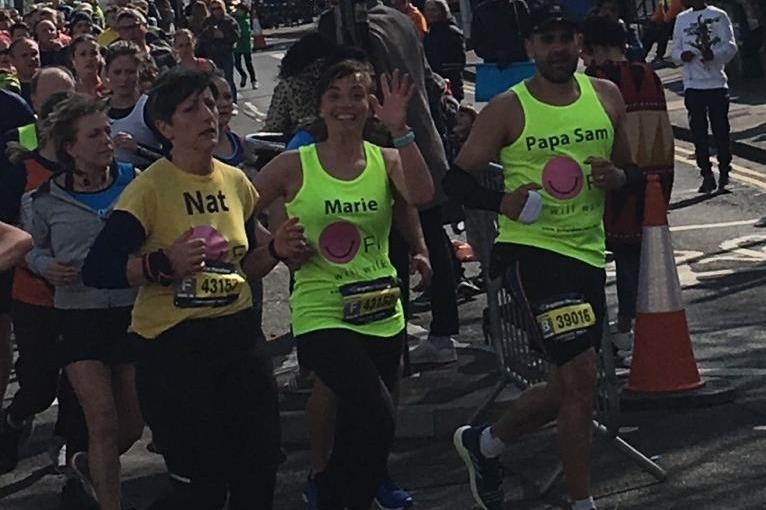 The wonderful Natalie Orringe and Marie Knight have agreed to join me and put themselves through severe pain and suffering for our little girl and run 26.2 miles on the 14th April: these girls are warriors and, are NOT to be messed with. 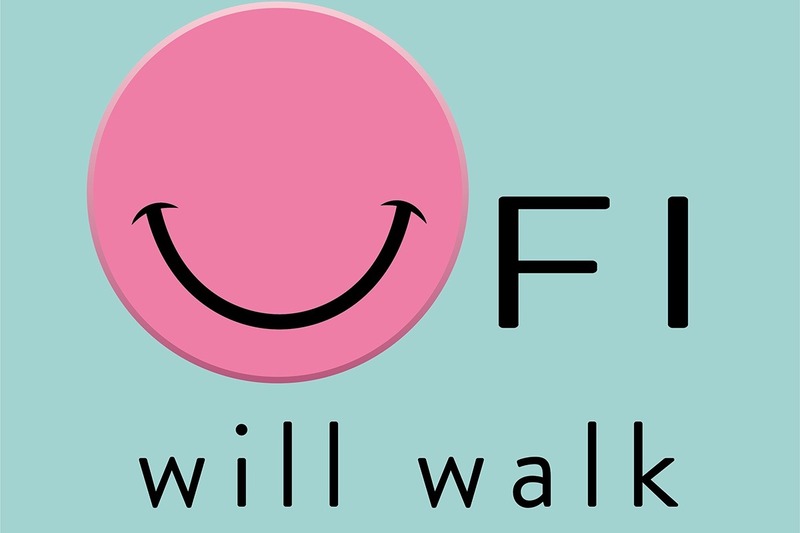 SO YOU CAN HELP...YOU CAN HELP UFI WALK. You just need to click on the big yellow 'DONATE NOW' button on the top right of this page to do so. Think about it: ‘If you don’t throw in your buck ‘o five…who will? Help us reach our goal and help Ufi walk. Mahalo. We did it! 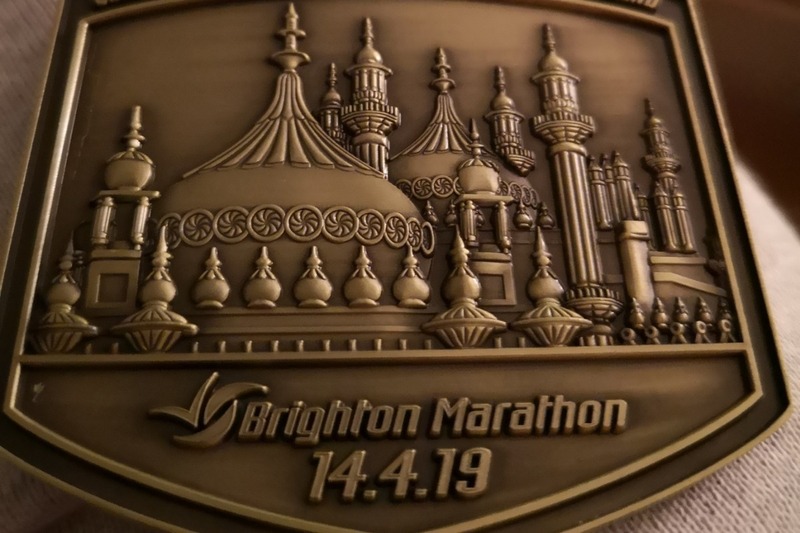 We took on the Brighton Marathon and emerged bruised, battered and ecstatic. Next up: paddle board the English Channel. No biggie. Mahalo from an aching Team Ufi. Updates to come on this when first round of filming is completed later today. 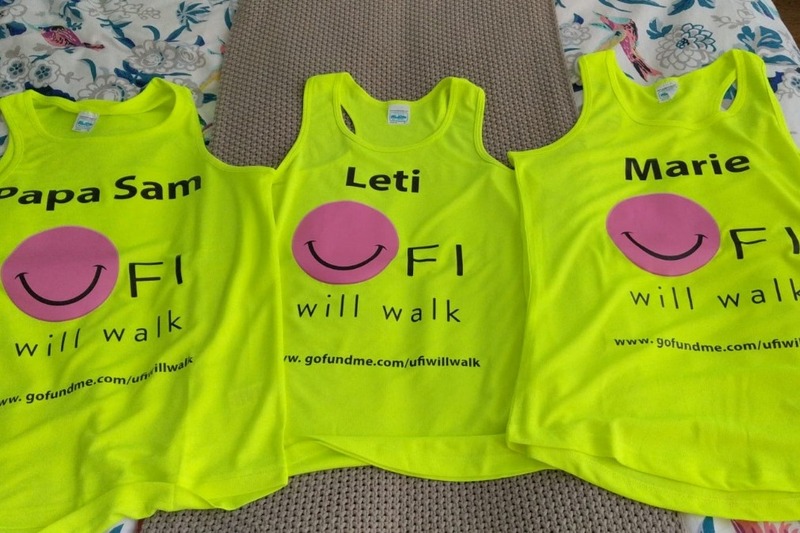 If you're watching the #brightonmarathon this weekend, keep an eye out for these beauties!